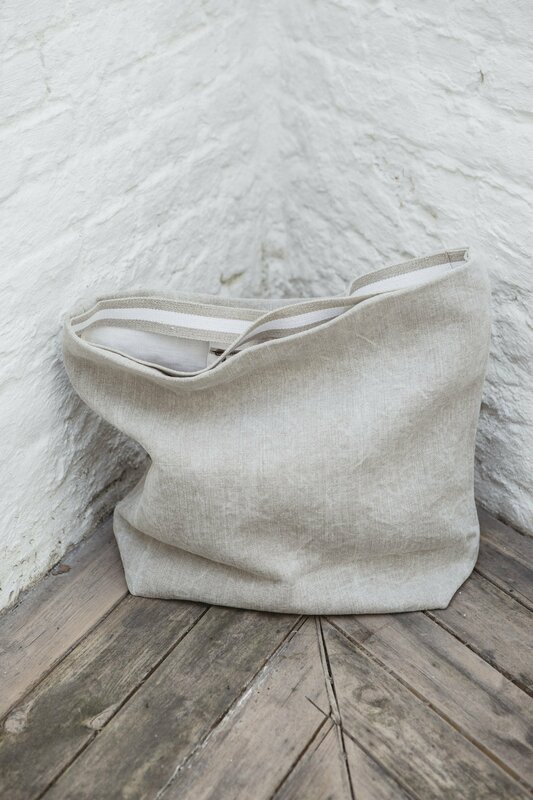 Charly is a new handbag in stonewashed linen. 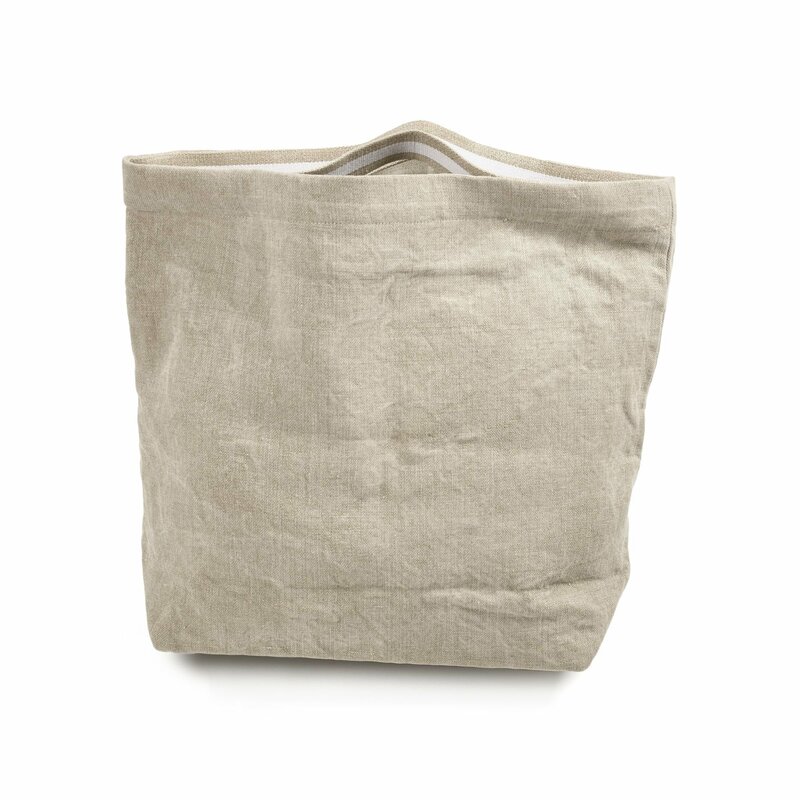 The outer shell is a very tightly woven, pure linen, flax-colored fabric. 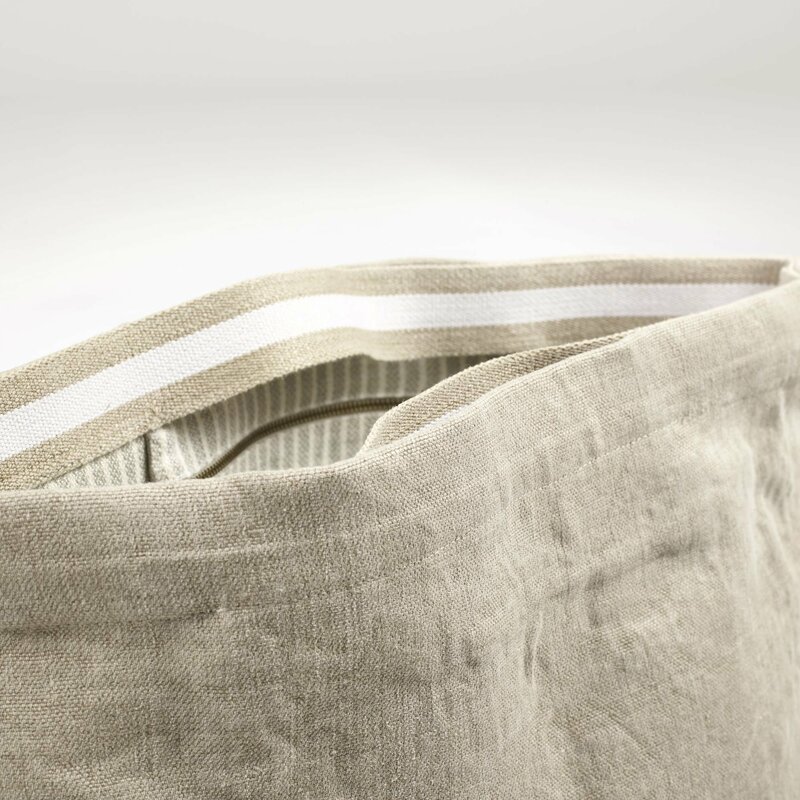 The inside is lined with a white, pure linen fabric and finished with a trim detail on both sides. There are two inside pockets. 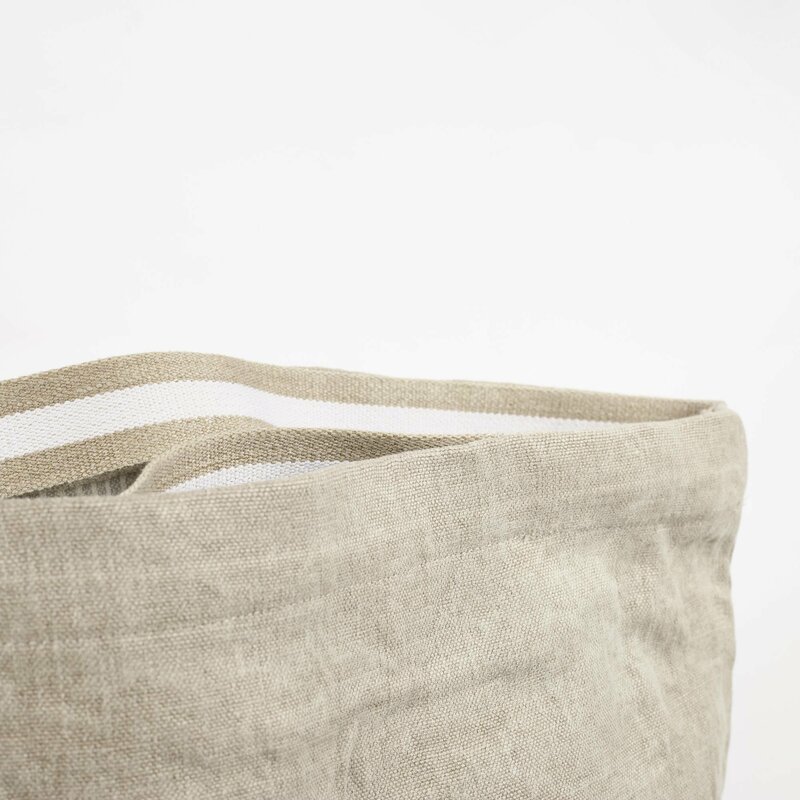 The handle is a very sturdy flax and white stripe strapping that runs around the entire inside, top perimeter of the bag.